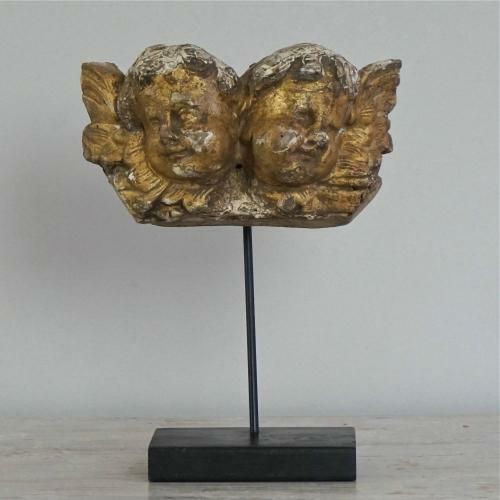 A wonderful hand carved Baroque fragment in original gilt, featuring two angels and mounted on a display stand. Stunning faded patina. Italian circa 1700.